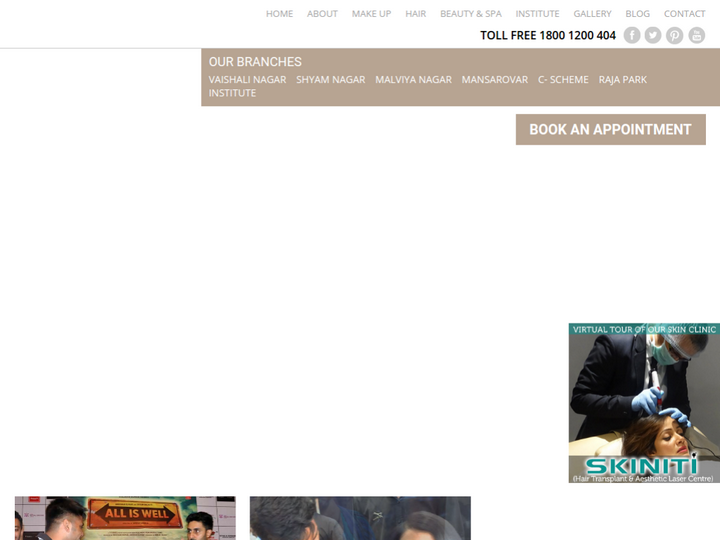 Style ‘n’ Scissors is the leading chain of salons in Jaipur, offering Salon, Spa, Tattoo Studio and Academy services. Our brand was incepted in the year 2004 with Vaishali Branch and over the years, we have grown from one branch to six branches at present. This has been possible only because of the faith reposed in our services by our prestigious clients. The entire management & staff of Style 'n' Scissors heartily thanks all our clients for their support and encouragement. You can always be rest assured that we are continuously striving to provide you the best of services always.